Burke Harris will also work to promote programs like SJ TEETH, which provides dental cleanings to low-income kids. It partners with organizations like First 5 San Joaquin, which supports early childhood development programs, including a preschool program in Lathrop. 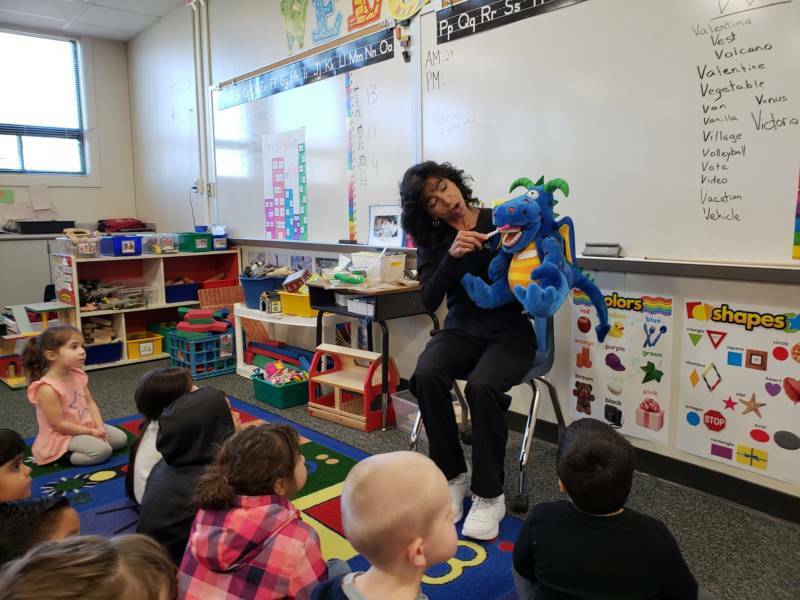 On this particular day, dental hygienist Deborah Delfino sits in front of the class and uses a puppet named Bob to teach the kids how to brush their teeth. The 4- and 5-year-olds respond by eagerly opening their mouths and showing off their teeth. After the lesson Delfino gives some of the kids a quick teeth cleaning in a corner of the room. During the exams she makes sure to clearly explain to them what she’s doing. "I love brushing my teeth," says 5-year-old Valentina, the first patient, shyly as she mimics brushing her teeth. "I love doing up and down." 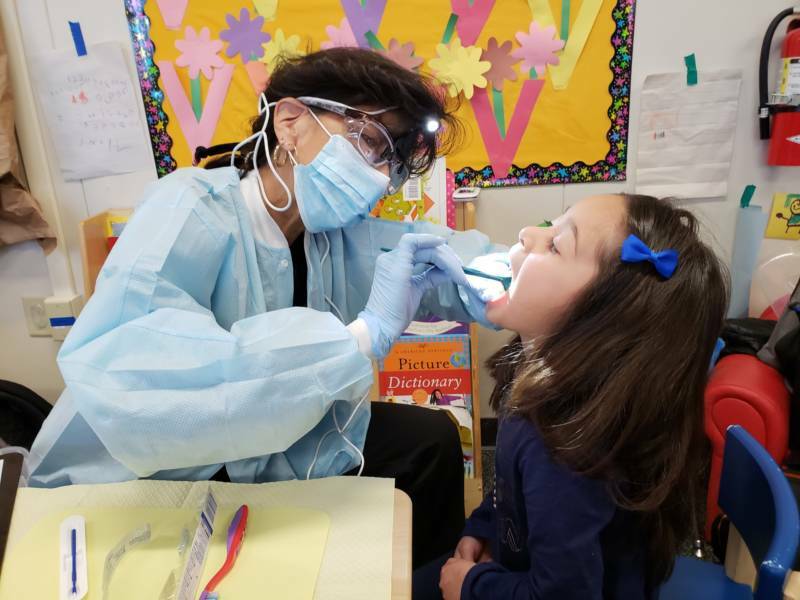 First 5 San Joaquin Executive Director Lani Schiff-Ross said it’s important to make sure the kids have a good experience with the dentist. Otherwise, they might not come back. The clinicians try to be especially aware of possible traumas children may have experienced, she said. “If a child is not told what's going on and a professional is touching their body and not asking for permission or explaining what they're about to do, that can trigger some issues that they've had when someone has abused them," said Schiff-Ross. That’s exactly the awareness Burke Harris wants to promote as surgeon general. 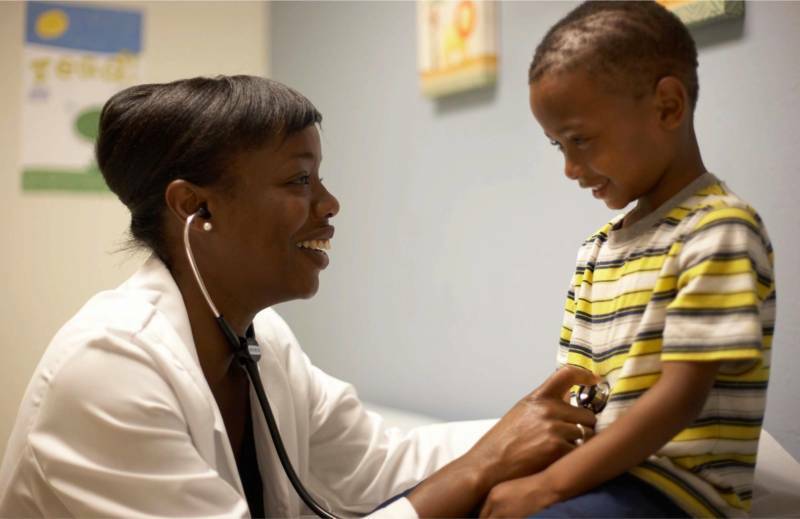 As a pediatrician, she studied the 10 categories of adverse childhood experiences. They include things like physical and sexual abuse, neglect, or having a parent in jail affect long-term health. All of that can increase stress. She also envisions earlier interventions to help detect and treat toxic stress. “Without the buffering care of a nurturing adult, these stress hormones can continue to stay at high levels and lead to harm," she said. Burke Harris said 61 percent of Californians have had at least one adverse childhood experience, and she said ignoring trauma hurts kids long-term. “A lot of these kids, especially if they're low-income, especially if they are from a community of color, they're being labeled as behavior problems. They're being suspended or expelled," she said. Newsom’s budget proposes $45 million to screen children and adults for adverse experiences. Another $60 million would go toward developmental screenings for kids.